How Can I Convert My Waterbed to a Regular Bed? If you currently already own a hard side waterbed you should have everything you need to change your water bed back into a regular bed. 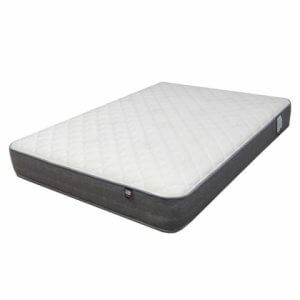 For example in a matter of 2 hours you can easily convert you old bed back into a conventional coil spring mattress or even one of the popular specialty mattresses like latex, memory foam, airbed or softside waterbed. 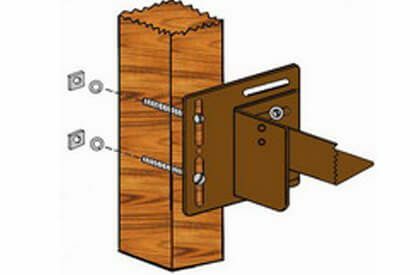 Begin by breaking down your hard side wood framed waterbed saving all the screws, hardware, and frame boards. 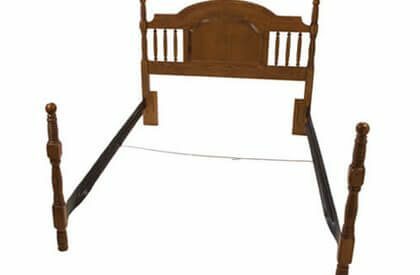 You will be able to utilize the old side frames to build headboard stands or headboard legs. In order to have your headboard sitting at the optimal height behind your new mattress you will to first determine the precise height to cut the stands too. You can do this by measuring the combined height of your mattress, box spring, and pedestal or frame that will be positioned in front of the newly freestanding headboard. 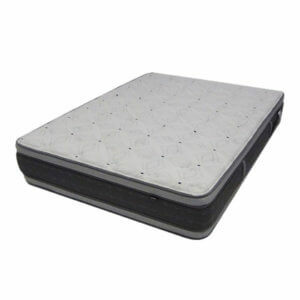 Example: if combined height of the bed frame/drawer pedestal, mattress set, and base are 27”, cut your stands about 26”. The angle brackets used to hold your old bed together will be used to build your headboard stands. Can I still used my waterbed drawers underneathe my mattress? For those who have a drawer pedestal and want to continue to utilize the storage of them, know that you can set you mattress or mattress set on top of the drawers. First you will need to cut to size and screw down your old plywood decking on top of the pedestal which will now become a platform bed. Make it look more professional by cutting to size and putting a piece of trim around it for a more finished edge. If you have a taller drawer pedestal such as 18 ½” you may want to use your mattress only without a box spring or you will end up with a very tall bed with a total finished height of 38” to 42” tall. We often joke with customers who want to do this that they will need a ladder to get into bed. How to use metal bed frame with water bed head board. If you have no drawers or plan on not using your existing drawer pedestal you can use a regular steel bed frame and just set it in front of your headboard on stands. We don’t recommend using the old box pedestal or riser because they are unstable without the weight of a waterbed to secure them into position. With a little determination, a saw, and an electric drill, you now have changed your waterbed back into a conventional bed. How many stands will I need to support a king waterbed headboard that I’m converting to a free-standing headboard for a regular bed? Assuming I place the on the ends but how many in the middle or spaced across to help support the headboard?